Our members in around 40 cities are actively involved in regional groups on a voluntary basis. 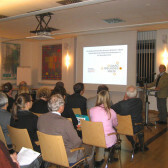 DAAD scholarship holders and alumni can get to know one another and network at events and on excursions. We also provide unusual perspectives and a glimpse behind the scenes. 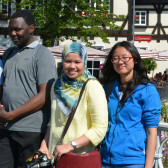 In this programme, DAAD fellows find out what it is like to live in Germany, both in the city and in the countryside. Hosts show their region to scholarship holders. Excursions and trips of several days all over Germany enable DAAD scholarship holders to find out more about the country – German history, politics, culture and science. In addition to cultural and leisure activities, we offer funding opportunities, e.g. for seminars and conferences. We support scholarship holders in need through the emergency fund.